This was one of those shots where I couldn’t actually see the composition when I took the picture, but it turned out ok anyway. 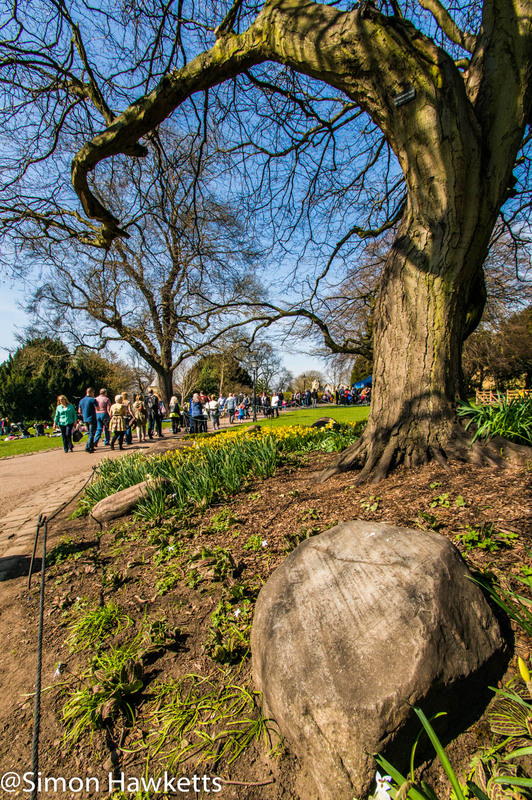 We were walking through the Museum Gardens in the City of York and I saw this tree and the rock placed at the foot of it. I thought it might make a nice picture to include the rock in the foreground, so I bent down to take it but couldn’t see through the viewfinder or see the image on the back of the camera because the sun was too bright. So I set the aperture to about f/22 and the focus just off infinity and guessed where the rock would be with the lens set to 10mm. Fortunately it came out quite nicely!